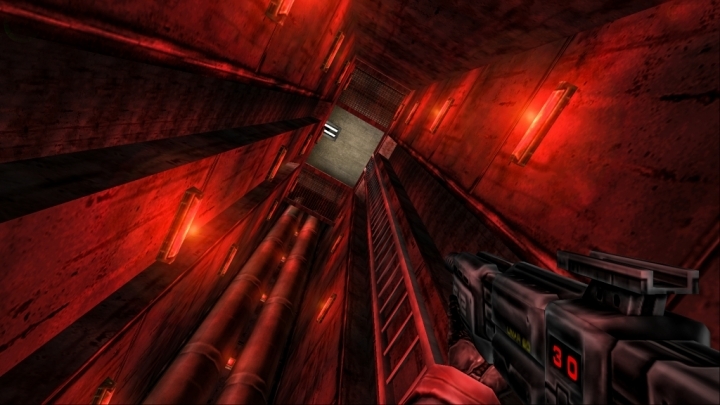 RedFaction 1 (2001) looks incredible in 1080p after 16 years! I remember playing this in my Playstation 2 back in 2001. Freaking out because of “destructive terrain” aka Geo mode and multiplayer experience.. tons of good memories. I used a Mod patch to be able to run this game in 2017 with Windows 7 (64 bits) and modern PC components + 1920×1080 FullHD View FIX and enhanced graphics. I took me almost “half of the game” to realize I could hide the weapon by pressing “H” then fixing the HUD in Photoshop was easy for a clean view! I tried to go 4K but the game crashed no matter what, so truck with 1080p which were more than enough! Completed the game in 3h, exploring everything I could in look for cool shots, but didn’t really wanted to overflow, so It was a good experience! BTW when I was a kid, I could not pass further 1/3 because I didn’t know English and never knew what to do! haha..